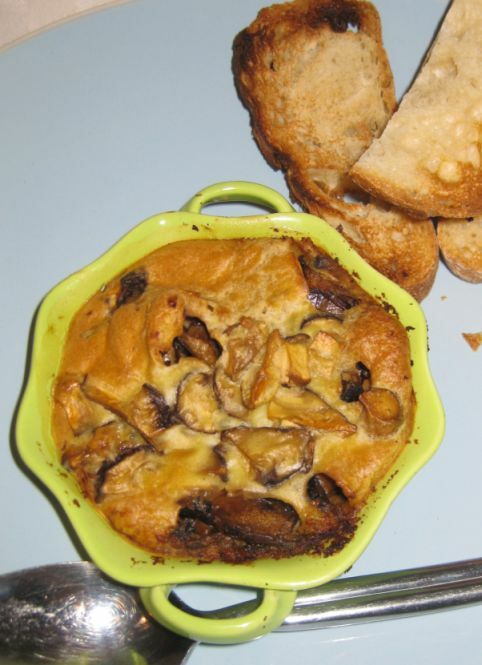 A clafouti is a rustic French dessert that is very popular in Provence which I happen to adore! 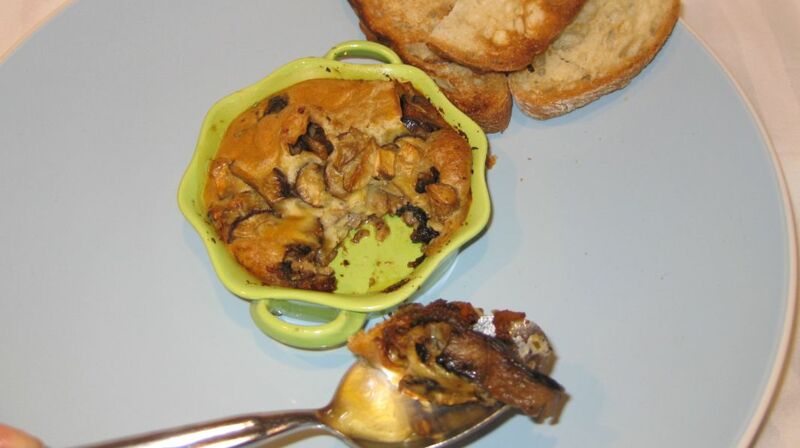 It is usually made with cherries covered with a thin sweet batter, baked, and then served hot. 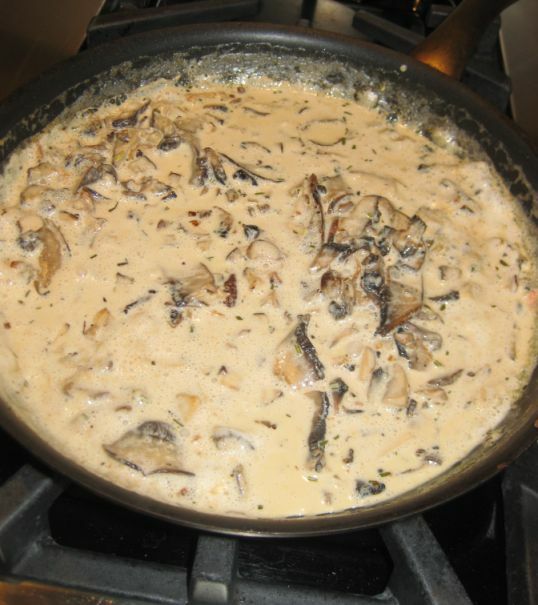 Here it is the same idea but instead of making a dessert this is a savory dish with mushrooms, cream, rosemary, and shallot. 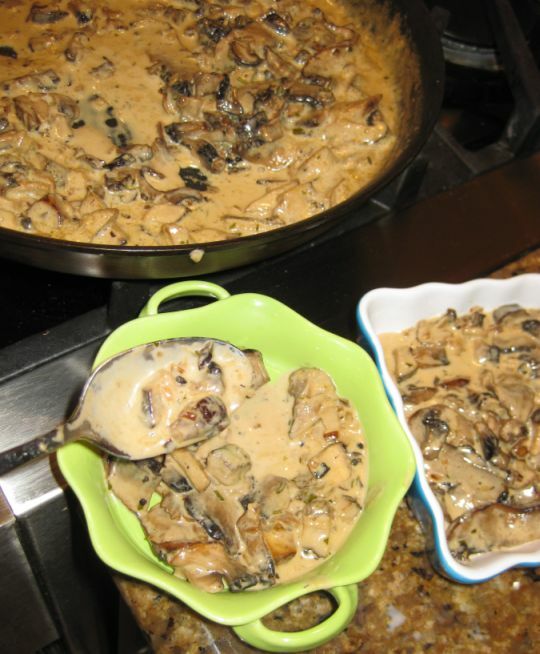 It is so delicious served with roasted meats or poultry or it can be served as an appetizer with lots of toasted bread. 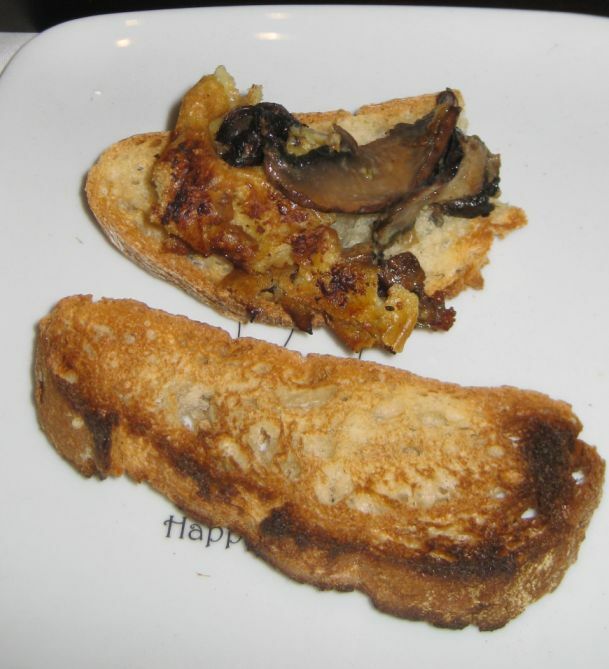 This appetizer is so yummy with a piece of toasted bread. 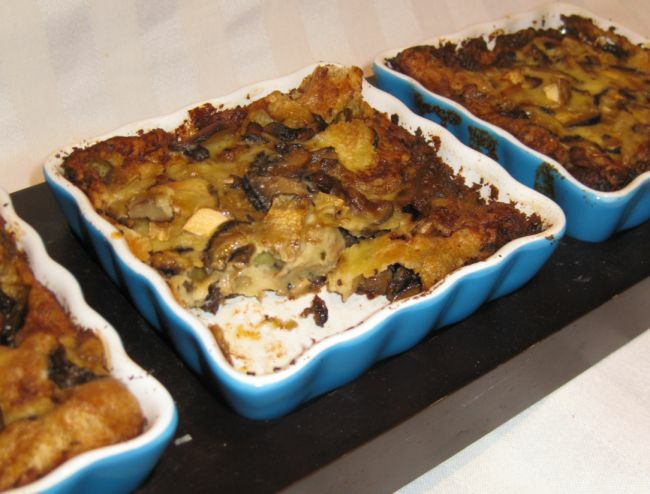 The top of the clafouti is crunchy and is perfect with the mushrooms filling which is creamy, rich and tasty! Next time when I have a Party this dish will be on the menu. 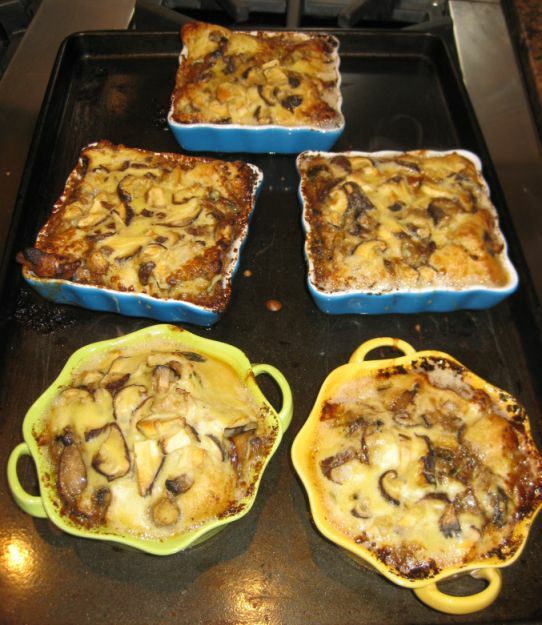 It is simple to make but it is really tasty! 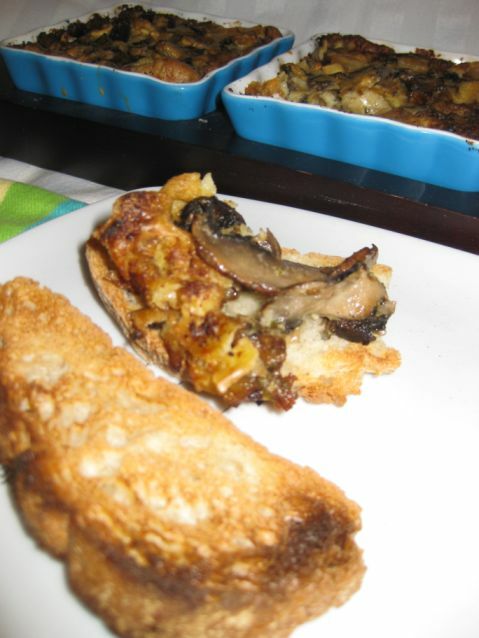 Close up look at the mushrooms clafouti. 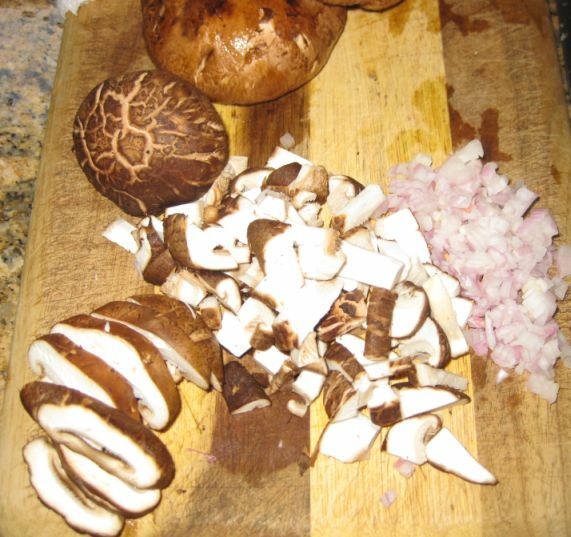 chopped the shallots, then slice the mushrooms and then cut them into 1 inch piece and set aside. 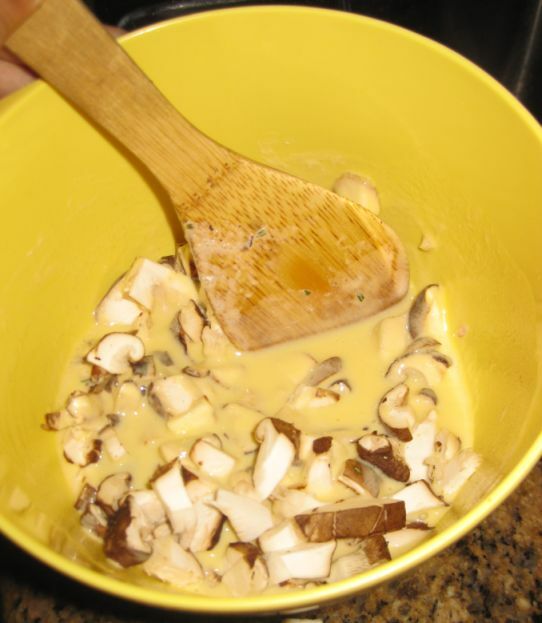 Prepare the batter: In a medium bowl mix the flour and water, stir until smooth. 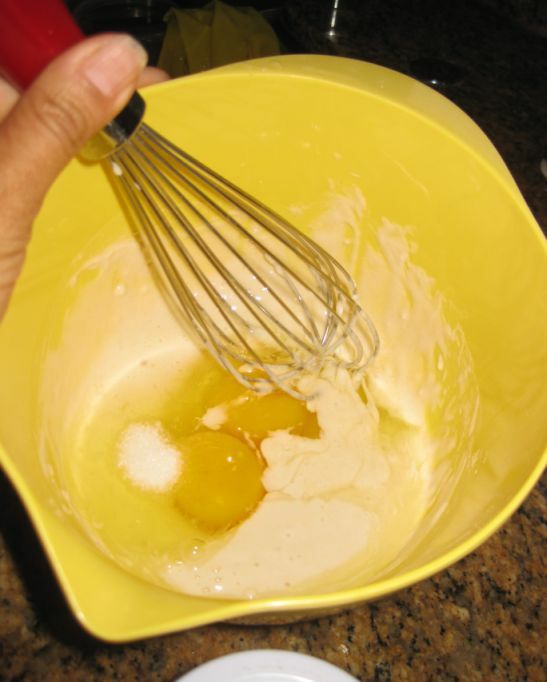 Add the salt, eggs and continued to mix it to a smooth batter. 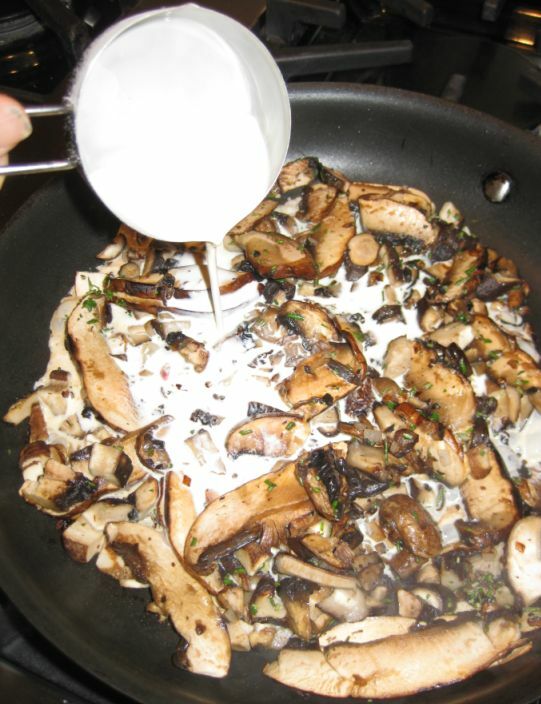 Add the shitake mushrooms to the batter and mix it together. Put it aside. 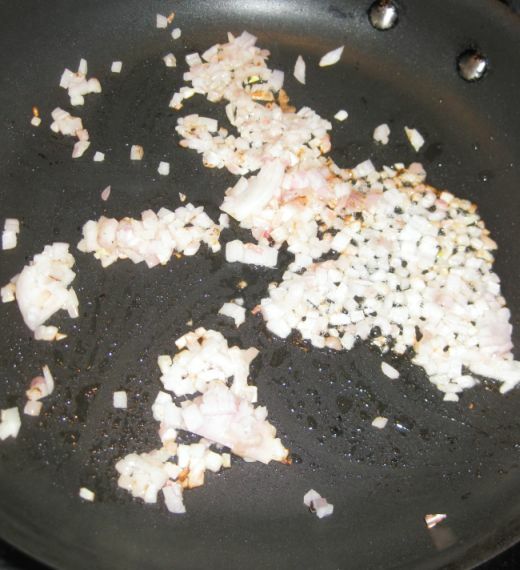 Heat a pan with oil and sauté over medium heat the shallots until lightly browned. 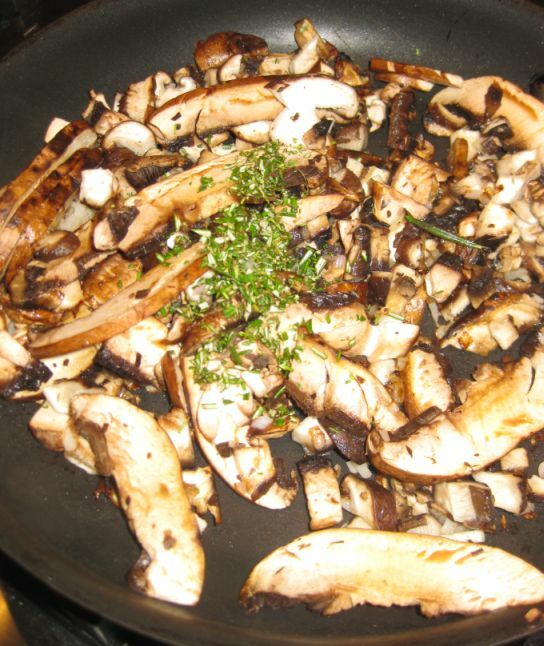 Add the shitake and Portobello mushrooms and sauté until brown. Add the minced rosemary and keep cooking for another minutes or so. 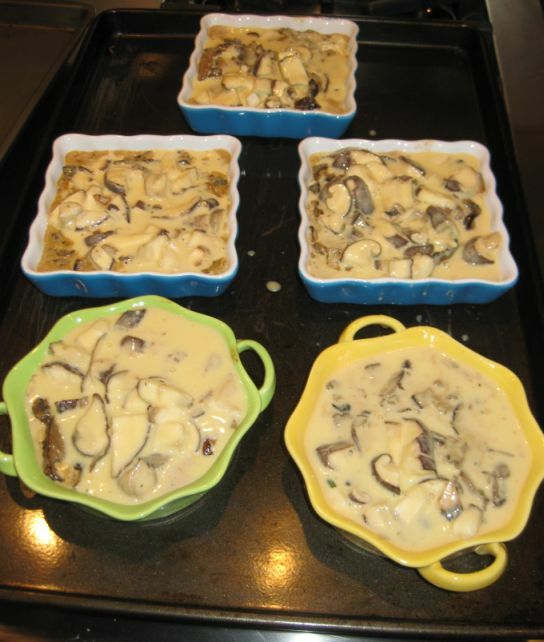 Once the sauce is bubbling reduced it to medium heat and let it reduce it by half, 1 to 2 minutes. Pre-heat the oven at 400 degree and bake the clafouti for about 15 minutes. Freshly out of the oven!